Benching News: Ross Moves Up To 1st Place On The Team! 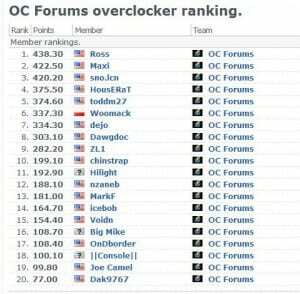 Ross has held one of the top spots on the Overclockers Forums Benching Team as long as I can remember. He’s one of the most talented overclockers I know and I couldn’t imagine seeing him anywhere but the top. Ross has not only cranked out massive benchmark scores for hwbot, but has dominated in live competition as well. The first time I went to GOOC (Gigabyte Open Overclocking Competition) I got to sit next to him. Not only did he take 1st place in the competition, but he taught me a great deal along the way. He went on to compete in the GOOC world finals in Taipei, Taiwan. Ross, also known as “boosted evo” at Xtremesystems, has earned the respect of overclockers all over the world. He’s been sitting somewhere in the top 4 on the team for the last few months. Last night I went to check my own hwbot profile after a brief night of benching, only to notice I’d been bumped down to 3rd on the team. I instantly knew that Ross’ recent Clarkdale benching had paid off, and gotten him some HUGE benching scores, a few of which I’d like to point out. Sure these scores are impressive, but according to Ross, he’s just getting warmed up. 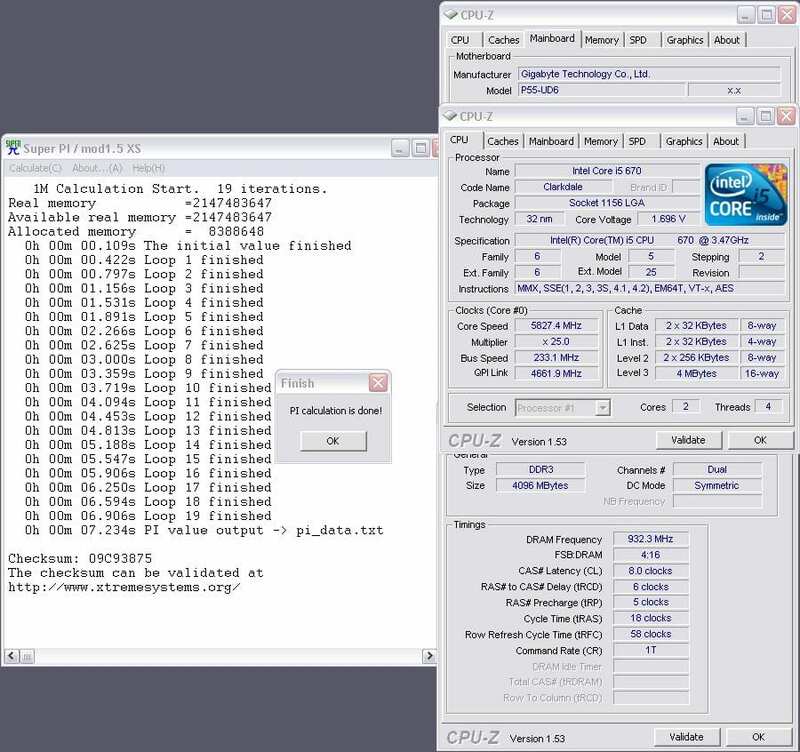 With plans to push over 2 volts through this CPU in the near future, he’ll no doubt be destroying these scores in no time. 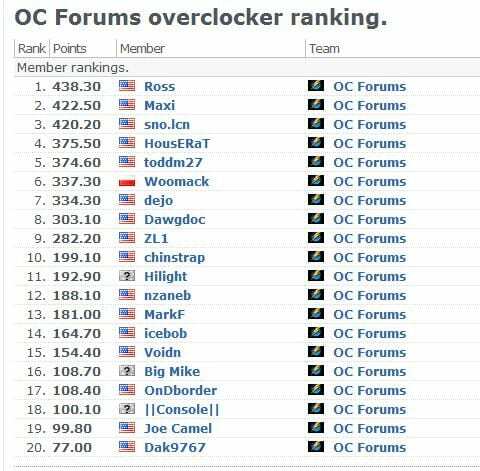 If you’d like more info on the OC Forums benchmarking team, check out the team section of the forums, or contact me or anyone else on the team. Joining the team is easy, and you’ll learn more about overclocking than you ever thought possible. You don’t need the fastest hardware or the most extreme cooling, but it does make things more fun.